Have you been searching for the best portable reloading press and just get confused with all the options? Well I know the feeling since I have been using these for a long time and have had my share of barely adequate reloading presses. So what I did was review the top portable reloading presses and settled on these two. I have included as many details as possible so you can clearly see the difference between these and other portable reloading presses. In addition to the reviews I have also included other information about portable reloading presses so you can be better informed. 2 What is a Portable Reloading Press? 3 What’s the Use of Portable Reloading Presses? This Lee hand press review can say this product works as well as advertised. As a hand press it is bundled with the essential parts to start reloading. The hand press is built with accuracy and compatibility in mind. All you need to do is set the die one time and the Lee hand press will do the rest. While the Lee is compact it’s built for heavy duty use. The instructions are easy to follow and you don’t have to spend time setting it up on a work bench. The Lee Breech comes with the Breech Lock Quick Change, case lube, powder funnel, ram prime and the hand press. The hand press size limit is 3.650 to 1 inch. You have to purchase dies to use it, but once you’ve got those you can commence. It’s also easy to use, durable and ideal for anyone who wants to expand their reloading capabilities. The Lee Breech can handle a 3006 Remington fine. The hand press size limit for cartridges is 3.65 inches so a 30.06 shell won’t be a problem. The ram prime included in the set does what it should and you can use it in lieu of primers. Handled properly the Breech can also work with a 270 cartridge with ease. The Partner Press certainly fits the label of being a portable reloading kit as it’s light and simple to use. But don’t let that fool you since this is a high quality product that’s built to last. The Partner Press works with a wide range of calibers so compatibility won’t be an issue. It is powerful enough for range use or a backup press for various operations. A compound leverage mechanism is built in, plus it has a priming arm and metal links for superior performance. The priming arm also does away with the need for another primer. It accepts 7/8″-14 threaded dies. In terms of compatibility the Partner Press is ideal for swagging, decapping and pulling bullets. 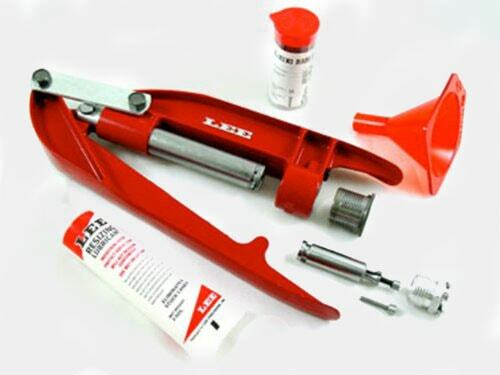 This small reloading press comes with a primer catcher that sets on the frame to catch primer. Even if you have never used this before the RCBS user guide is easy to follow. There is some assembly needed but it won’t take long. The swagger works as advertised and movement is nice and compact. The RCBS is one of the lightest reloading presses and that works to its advantage. For pistol cartridges, the Partner Press does the job fine and doesn’t take up as much space as other reloading presses. What is a Portable Reloading Press? 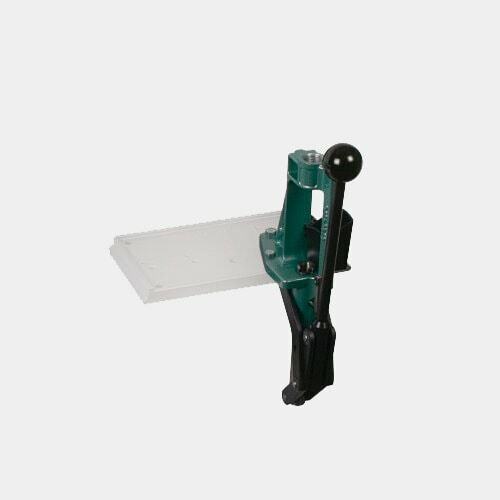 A portable reloading station or hand press is a smaller, compact version of the standard reloading press. These devices are designed for those who don’t have a lot of space. Hand presses come in different styles, shapes and forms, but they have the same purpose, to help you with reloading. What’s the Use of Portable Reloading Presses? A compact reloading press is ideal if you don’t have a garage or otherwise have limited space. It’s primary benefit is for those who want a reloading press but one that’s portable, suited for travel and lightweight. If you’re not a heavy reloader then it makes sense to get one of these. The majority of portable and hand presses are for pistols and handguns. They don’t have the power to handle large calibers but for handguns they’re more than capable. That’s why they’re ideal for casual shooters or those who work with pistols. 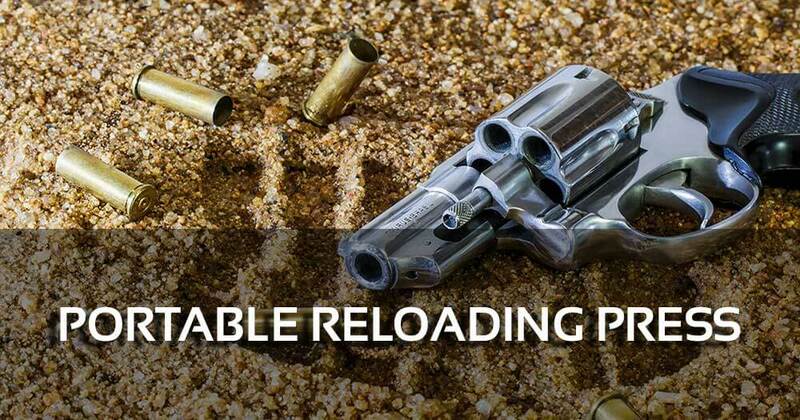 If you want to buy handheld reloading kits you’ll need to consider several factors to determine what type you need or if you need one at all. If you say yes to any or all of the questions above then you’ll benefit from a portable reloading press. These products are very affordable and go far in terms of speeding up bullet making. Both of these reloading presses are good, but I have to say the Lee Precision Breech is the better of the two. It is well designed and true to the claims comes with all the necessary stuff you need to get started. The Breech is light but packs power and precision. It is also one of the easiest to use and takes out a lot of the complexity of reloading. The Breech also works with a lot of popular calibers and bullets so you can use this in different ways. 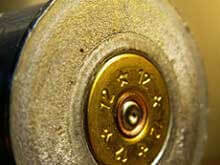 Unlike other reloading presses the unit does not cause damage to bullets, so it was easy to name the Breech the best portable reloading press.